I am a paper lover. I am a scrapbooker and a teacher and I love paper. Pretty paper. Basic paper. Scented paper. Folder paper. Bulletin board paper. Wrapping paper. I love paper. I buy wrapping paper all year round. I TELL my husband it is for a future bulletin board, but *sigh* it might just be because I have an addiction to paper! LOL. 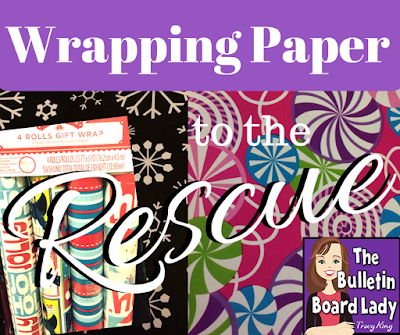 In all seriousness, this is a great time of year to stock up on wrapping paper. You can wait until the after Christmas sales, but for true paper hoarders...err...I mean....lovers you may want to start now. The best selection is available before the week before Christmas. 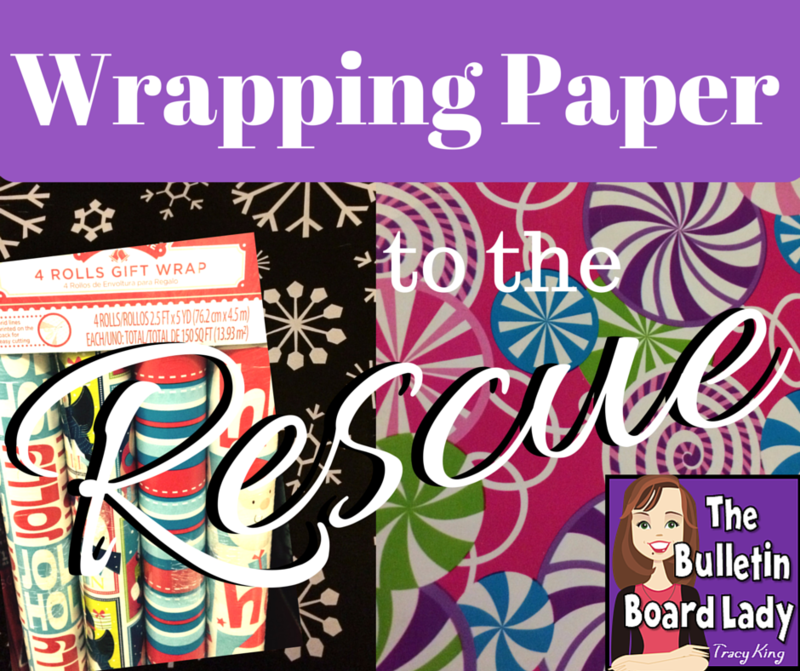 I like to use wrapping paper for snowy bulletin board themes in January and February. So paper with snowflakes that are not in typical red and green themes work really well. I pick up paper at Walmart, Dollar General, Dollar Tree, Hallmark and Target so most of what you will see in this post were purchased at one of those places. I can't guarantee that they will be there, but perhaps it will inspire you to think outside the box. There are usually snowflake papers is silver and purple too. These work really well in January and February. Sweet Success: Look Who Knows Their Multiplication Facts! Most of this wrapping paper can be found all year around. Chevrons, polka dots and stripes can be used not only on bulletin boards but to cover your filing cabinets or the front of your desk. It would also be great for displaying a variety science projects and nature displays. 1. It is a brilliant pop of color and interest. This is great if you are using a rather simple display or hanging up student work. 3. It is easy to cut, fold and manipulate. And look...if you buy too much and don't want it all, let me know and I'll send you my shipping address!